Some may think the Boy Scouts of America® is an anachronistic organization and a throw back to a past that no longer exists. With the super abundance of organized sports and activities, how can a 100-plus-year-old organization possibly be relevant for today’s youth? The strains and break-ups of more and more families, along with the increasing growth of single-mother households, has actually made the BSA more relevant and needed than at any other time in its history. Scouting teaches life skills that will benefit boys for their entire lives as well as the communities they live in. A goal oriented approach to life, physical fitness and community involvement pervades everything that takes place with the Scouts in a fun and exciting way. Tragically, many boys in today’s world do not have a father in their lives and need a strong male figure to shape them in a positive way. Scouting helps fill this void and provides controlled experiences where they have to take on responsibilities and make decisions. If they stay in it long enough and work hard, a Scout may achieve the highest ranking — Eagle Scout. Only 6 percent of Scouts achieve the rank of Eagle. In 2015, 629 young men from South Carolina made Eagle Scout. Before the age of 18, a Scout must earn a minimum of 21 merit badges, demonstrate leadership and Scout Spirit among his troop as well as develop, lead and complete a service project. This is a rigorous and long-term project that only a few are able to accomplish. A comprehensive study conducted by Baylor University found that Eagle Scouts have a greater level of civic engagement, participation in health activities, community involvement, belief in duty to God, service to others and commitment to setting and achieving personal goals than non-scouts. Eagle Scouts go on to be model citizens and leaders. Many famous Americans were Eagle Scouts — Neil Armstrong, Sam Walton, Steven Spielberg and Robert Gates, to name a few. Columbia and the metro area have a long history, more than 100 years, with Scouting. Thousands of Columbia boys each year are involved in Scouting and a few make Eagle Scout. 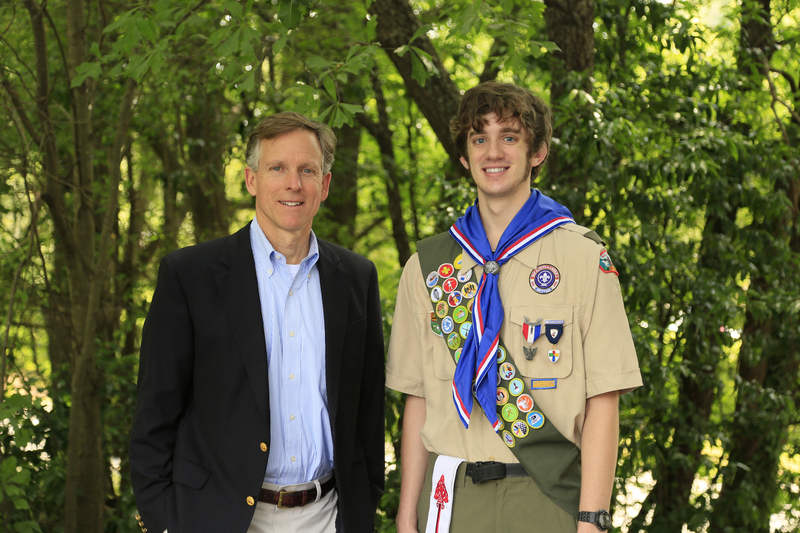 One who made Eagle Scout this year is Max Craighead, son of Columbia Metropolitan’s art director, Dennis Craighead. Max is a great representative of a typical Eagle Scout. Accomplished in several fields, he is an excellent student, musician and a black belt in karate. We have all watched Max grow up over the years and could not be more proud of his notable achievement. Columbia has benefited and will continue to benefit from its strong involvement with the Boy Scouts of America. Young men, such as Max, will be Columbia’s future leaders.